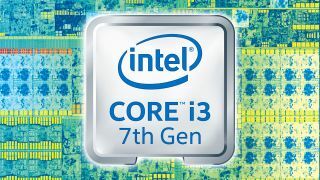 Could an unlocked multiplier Core i3 part be the dream budget CPU for overclockers? I got my start in overclocking back in the Pentium era—the original Pentium era, meaning the P5 chips of the late 90s—when I took a 200MHz Pentium MMX and ran it on an 83MHz bus, yielding a 250MHz chip. (Thanks, Tom!) I later went through three Celeron 300A chips trying to get one that would reliably hit 450+ MHz. And yes, I eventually found it, in the form of a retail box 300A (the retail chips were often better bins than the OEM versions) that ended up doing 112x4.5 = 504MHz. (Thanks, Anand!) I still have fond memories of my Abit IT5H system. Celeron 300A is old news, though. We hadn't seen any Intel CPUs come anywhere near a 50 percent overclock in a long time, but then a couple of years ago, Intel tried something interesting: they released an unlocked budget CPU called the Pentium G3258 Anniversary Edition. It was a gift to overclocking enthusiasts, paying homage to the hoary days when all of Intel's CPUs were multiplier unlocked. You'd think the Pentium G3258 AE would have been right up my alley, giving enthusiasts an awesome little chip at a great price that could hang with the bad boys. But unlike the Celeron 300A, which could actually outperform the full-fat Pentium II 450 (thanks to running the L2 cache at full speed rather than half speed), the G3258 had a lot of things holding it back. It was good … except when it wasn't. The problem was that, despite achieving a 50 percent overclock (4.8GHz) in many cases, the G3258 was still a dual-core, no Hyper-Threading, L3 cache starved design. The G3258 could rival Core i3-4360 and at times Core i5, and with a moderate GPU the processor worked well in most games as well as lighter workloads (like surfing the web). However, anything that actually made use of additional CPU cores felt slow to me, and some games actually needed hacks to even try running because they 'required' a processor with four cores (Core i3 was okay as it has two logical Hyper-Threading cores). Besides, enthusiasts who owned an existing K-series Core i5 or Core i7 part already had something that would easily beat the G3258. If you wanted to save every penny while still building a gaming rig, G3258 was a fun little chip. I just wanted a bit more, like an unlocked Core i3 part. Enter the Core i3-7350K, a Kaby Lake chip (with some leaked benchmarks) that Intel plans to sell starting early next year. Is this the heir to the overclocking throne we've all been waiting for? After the G3258, I'm decidedly skeptical. It's not that the i3-7350K isn't interesting, and I'm sure I'll have some fun with it, but where G3258 was a true budget overclocking chip, referring to the i3-7350K as 'budget' is stretching things. The G3258 sold for $70, one third the price of something like the i5-4690K, so I could overlook a lot of the flaws. Now Intel has addressed those flaws and will give us a dual-core plus Hyper-Threading part with more L3 cache … and they more than doubled the price of the G3258. Based on the current rumors/leaks, the i3-7350K will sell for around $180, or just $10 less than the i5-7400. Sigh. The reality is that Intel is always worried about hurting sales of their more lucrative processors. An i3-7350K running at 5.0GHz should run most games almost as well as the i7-7700K and i5-7600K, at least if you only use a single GPU. I would love for gamers to be able to knock $100 or more off the CPU cost by dropping from a Core i5-7600K to a Core i3-7350K, and then put that money into a faster GPU—that's almost enough to go from a GTX 1060 6GB to a GTX 1070. It looks like we'll only be able to save $50, going from a GTX 1060 3GB to a 6GB card, or an RX 480 4GB to an RX 480 8GB. Looking at Intel's planned lineup for Kaby Lake, there's still a massive drop off in desirability as soon as you fall below the $175 range. The old adage is that with Intel, all the good processors start at around $200, and that doesn't look set to change any time soon. I really hope AMD's Zen can step into that gap with an aggressively priced $100-ish 2-core/4-thread part, or even a 4-core/8-thread part priced similarly to the i3-7350K. The former is probably still a ways off, but a mainstream Core i5/i7 contender in January sounds possible, with other rumors currently suggesting an 8-core/16-thread part priced similarly to the i7-6700K. But Zen is a topic I need to deal with elsewhere (stay tuned).